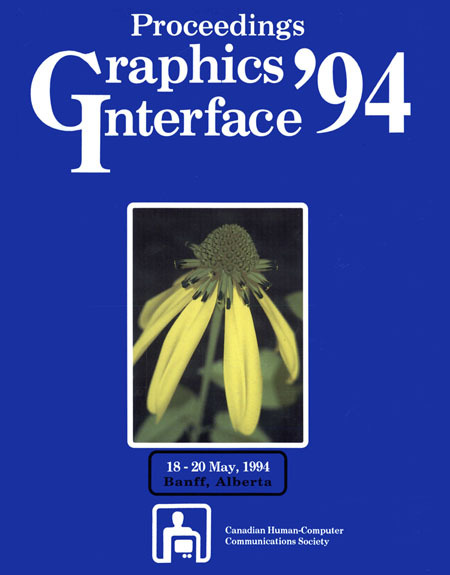 © 1994. Published by Canadian Information Processing Society. ISBN 0-9695338-3-7. As in previous years, the twentieth Graphics Interface was held in conjunction with Canadian Artificial Intelligence and Vision Interface. John Carroll, Mary Beth Rosson, Paul Heckbert, Michael Garland, and Brian Wyvill were the invited speakers and Alain Fournier was the recipient of the 1993 CHCCS Achievement Award.